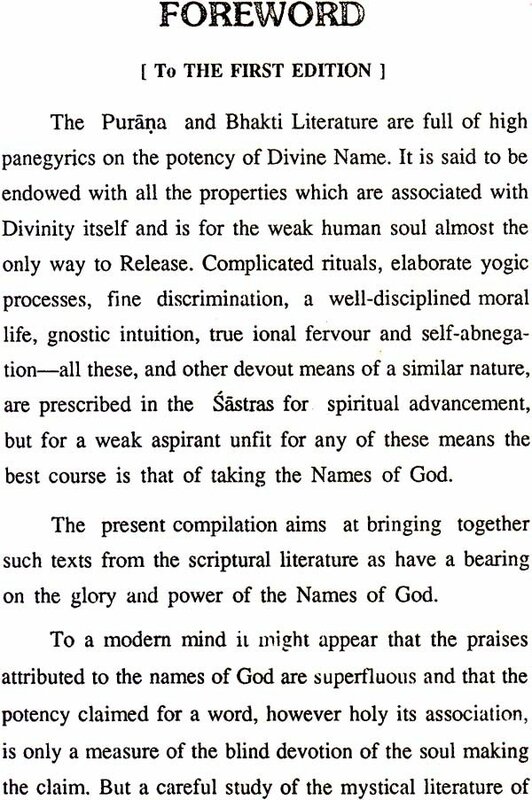 The Purana and Bhakti Literature are full of high panegyrics on the potency of Divine Name. It is said to be endowed with all the properties which are associated with Divinity itself and is for the weak human soul almost the only way to Release. 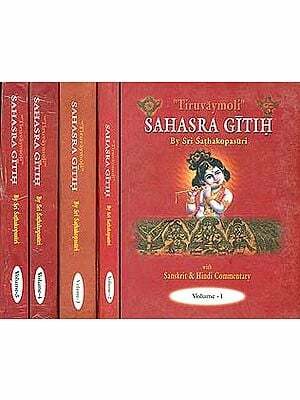 Complicated rituals, elaborate yogic processes, fine discrimination, a well-disciplined moral life, gnostic intuition, true ional fervour and self-abnegation-all these, and other devout means of a similar nature, are prescribed in the Sastras for spiritual advancement, but for a weak aspirant unfit for any of these means the best course is that of taking the Names of God. The present compilation aims at bringing together such texts from the scriptural literature as have a bearing on the glory and power of the Names of God. To a modern mind it might appear that the praises attributed to the names of God are superfluous and that the potency claimed for a word, however holy its association, is only a measure of the blind devotion of the soul making the claim. But a careful study of the mystical literature of the world, both ancient and modern, would reveal the fact that all the great religions lay emphasis on the potency of words-special words or sounds-possessing what are believed to be miraculous properties. 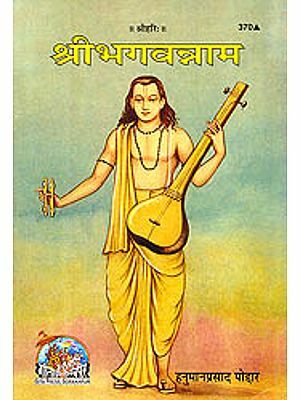 The Roman Catholics, the Sufis, the Buddhists, the Jains and all sections of the Hindus, both Vedic and Tantric, recognise the value of sound as an instrument, not only of self-purification but of great spiritual achievements. The author of Bhaktirasamrtasindhu has shown that the Name of God is not an ordinary word, which though powerful has its limitations: it is instinct with Divine Life and Energy and is incapable of differentiation from the Divinity Itself. There is a distinction between Name and its Semblance. When through the purity of the heart and its constancy the Holy Name reveals Itself the soul is flooded with celestial light and bathed in an ocean of Joy ineffable owing to its relation with Divine Life. 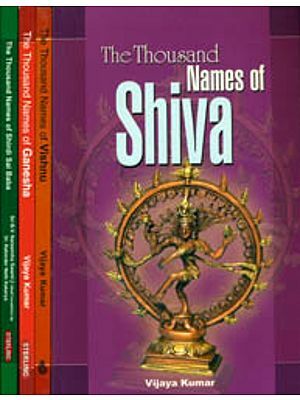 Such a Name is a power independent of any qualities which the soul may possess and develop and works independently. 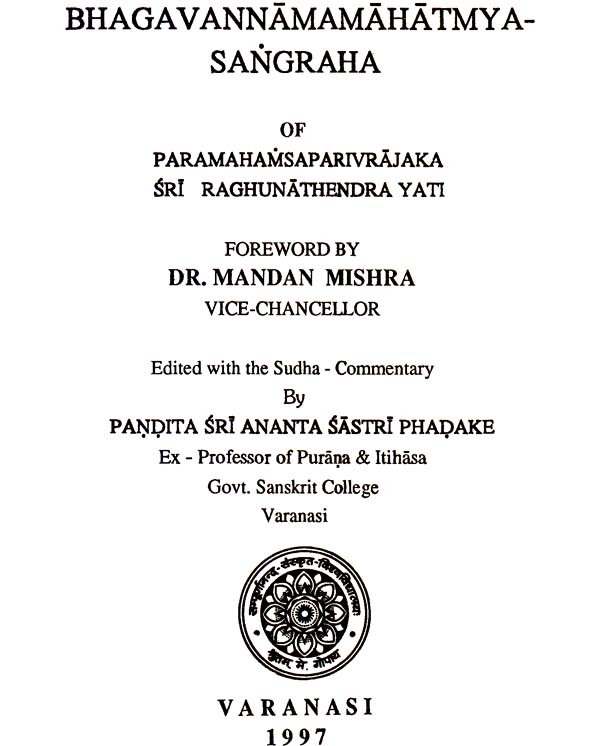 The Bhagavannamakaumudi of Lakshmidhara is a philosophical treatise which deals with the philosophy of Divine Name from different points of view. The curious reader is referred to this work for a reasoned discussion on some of the questions involved. 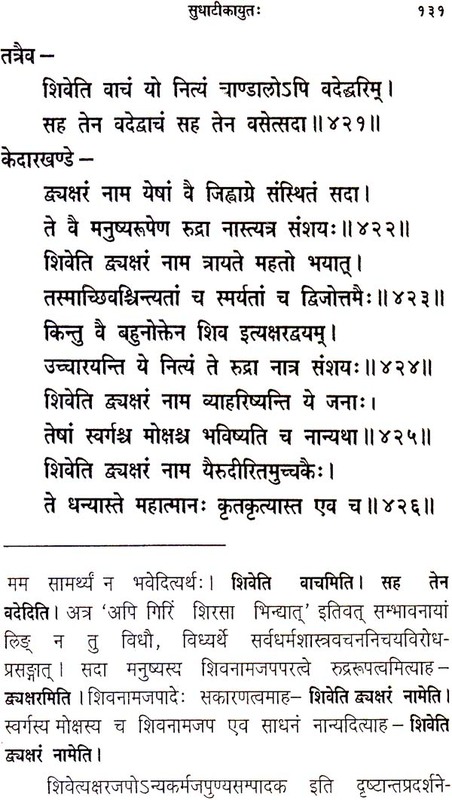 But for a thorough systematic study of the subject one is advised to go through the contents of the Agamic literature, both Saiva and Sakta, as also of the Yoga works of the different schools, and of the Vakyapadiya. Credit is due to Pandit Ananta Gopal Phadke, Assistant Professor, Government Sanskrit College, Benares for the trouble he has taken in ending the work and preparing an original commentary upon it. 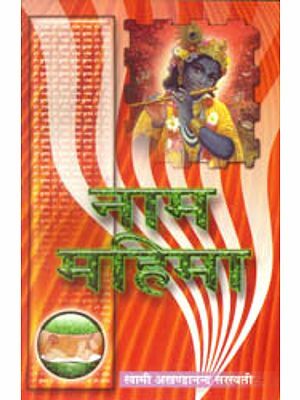 It is to be hoped that this booklet, even as it is, will prove generally useful to a student of Bhakti Sastra.